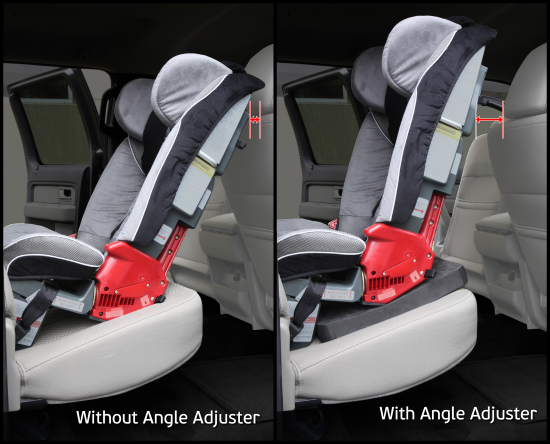 Angle Adjuster positions rear-facing Radian seats at a more upright angle for older children and can add up to 4” more room behind the front seats for more front leg room. The dense foam construction adds firm, lateral support for increased stability. Angle Adjuster fits all model Radian seats and is LATCH/UAS compatible. For use only with rear-facing Radian seats. 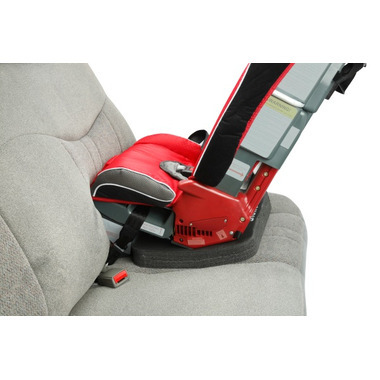 Do not use with child who cannot sit up unassisted and/or does not have complete head control. Crash tested. Very helpful accessory for a great car seat. A definite must! My husband and I are both tall and we have two car seats in the back of our car, so this helps give us the extra leg room we need. I definitely needed this to go with my Diono car seat. Glad I got it along with the seat otherwise my husband would be riding in the back seat until our daughter was forward-facing. 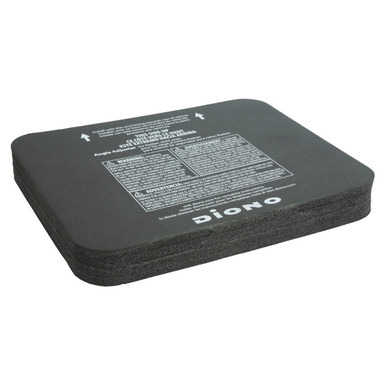 Works great with the Diono convertible carseat. It does add several more inches of clearance so that my toddler can continue to rearface in our car.